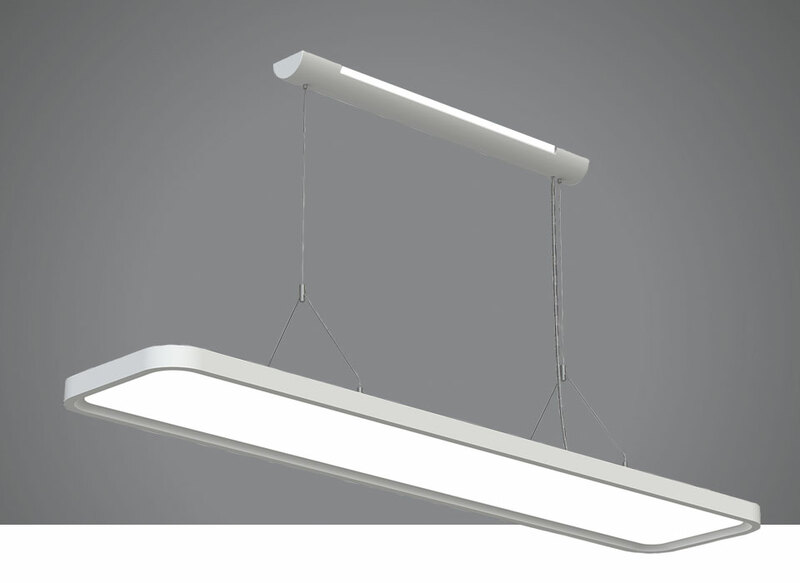 The Prelux Maye-R up/down LED office pendant is beautifully designed making it ideal for commercial & architectural spaces. The Prelux Maye Up/Down Pendant is beautifully designed with a sleek finish that complements a range of commercial and architectural spaces. 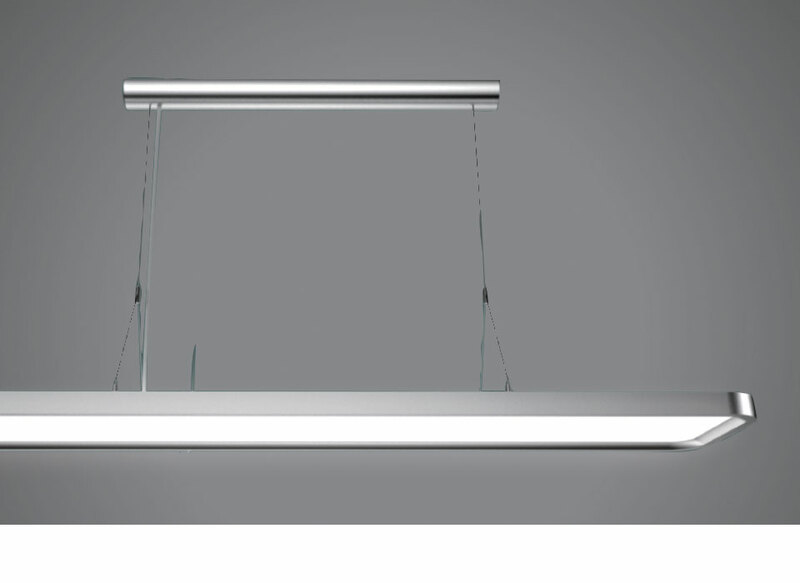 The rounded rectangular frame is crafted from high quality aluminium which provides excellent thermal performance, greatly contributing to the long 50,000 hour lifetime of the LEDs. Maye provides a soft even glow with a UGR of <19. The 20W uplight works in perfect tandem with the 40W downlight to create a unique atmospheric light, making it ideal for public buildings such as libraries, schools and hospitals as well as retail stores and commercial offices.